"To our friend and neighbor"
THOMAS FRANCIS BURKE, 67, son of the late Joseph and Julia (nee Kerrigan) Burke, died Oct. 19, 2018. 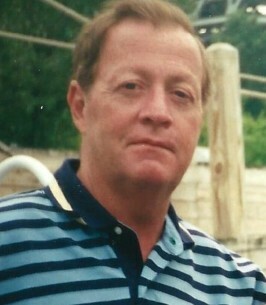 Brother of Michael (Bonnie), Rev. Sean MM (deceased), Joseph, James (Linda), Sr. Maureen SND, Judy (Ed) Bartel and Kevin (Kathryn); uncle of Michael, Thomas, Brian and Julianne Burke, Kevin, Sean and Brendan Bartel, Patrick, Kevin (deceased), Michael, Matthew and Mary Burke; great-uncle, cousin and friend of many, as well as everyone’s favorite bartender. Special friend of Kathy Gale. Charter member and former board member of ESIA, member and officer of the Eagles Club. Burial will be private. Mass will be 12 noon Thursday at St. John Vianney Church, 7575 Bellflower Road, Mentor. (Family and friends to meet at church.) Family will receive friends at McMAHON-COYNE-VITANTONIO FUNERAL HOME, 38001 EUCLID AVE., WILLOUGHBY FROM 5 TO 8 P.M. WEDNESDAY. 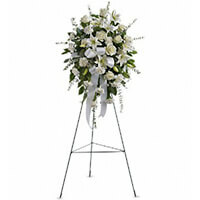 To leave condolences for the family, order flowers or light a memorial candle, visit www.MCVfuneralhomes.com. 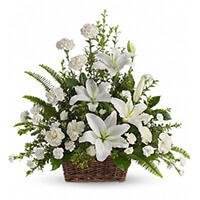 To send flowers to the family of Thomas Francis Burke, please visit our Heartfelt Sympathies Store. We encourage you to share any memorable photos or stories about Thomas. All tributes placed on and purchased through this memorial website will remain on in perpetuity for future generations. Thinking of you and your family in these difficult times. To the Burke family, I am sorry for the lost of your dear loved one. Please rest assured God knows exactly how you are feeling right now. He promises to help us in these tough situations. At 1 peter 5:7 he invites us to throw our burden on him and he will take care of the rest. God truly cares about each one of us, and he will act in your behalf to give you the needed strength through this time.